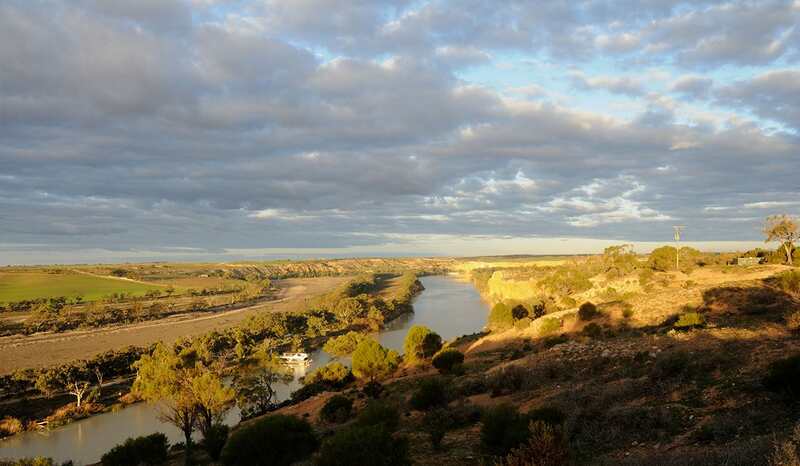 Australian Vermentino is going from strength to strength with an increasing stream of impressive wines being produced by winemakers across the country. To help us learn more about this vibrant new style, we reached out to a few Vermentino experts with winemakers from Box Grove Vineyard, The Little Wine Co, and Chalk Hill Wines . 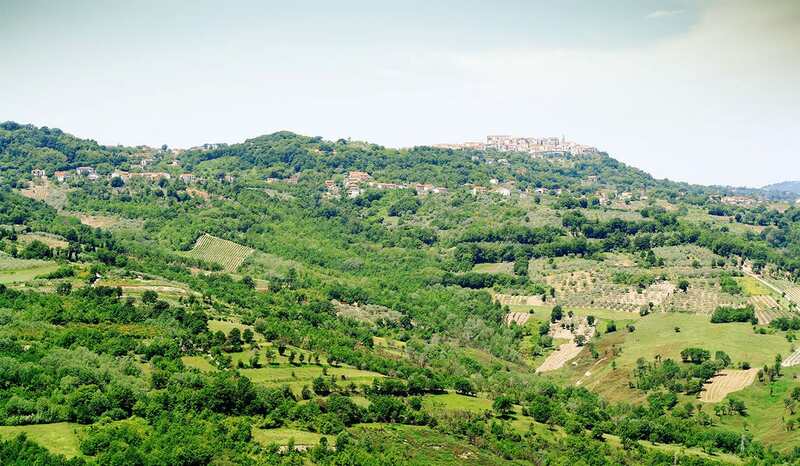 Vermentino hails from Italy’s Liguria region and the Mediterranean Islands of Sardinia and Corsica. With its light to medium body, Vermentino has a similar weight and profile to Sauvignon Blanc, Pinot Grigio, and Riesling. Styles range from light and fresh to rich and textural. On the palate there are notes of lime, almond, green apple, white florals, a unique sense of sea spray, and refreshing acidity perfect for the Australian summer. McLaren Vale’s Mediterranean-style climate and proximity to the coast are perfectly suited to Vermentino, as it is remarkably similar to the environment around Liguria, the original home of this variety. However, as a very hardy variety, it has adopted well across a variety of regions such as the Hunter Valley , Central Victoria and the Australian home of Italian varietals , the King Valley . All of these different growing conditions, from warmer to moderate, encourage differing styles from light and fresh to rich and textural. Chalk Hill winemaker Renae Hirsch remembers her conundrum with their 2016 harvest, as their crop "had good flavour, but it was still looking a little austere with fairly high acid levels, but I made the call to harvest as there was a spell of hot weather forecast for the following week and I didn't want to lose the vibrancy in the fruit from letting it hang out there in the heat, so I booked it in to harvest.” That vintage won the 2016 International Judges Wine of Show at the McLaren Vale Wine Show. 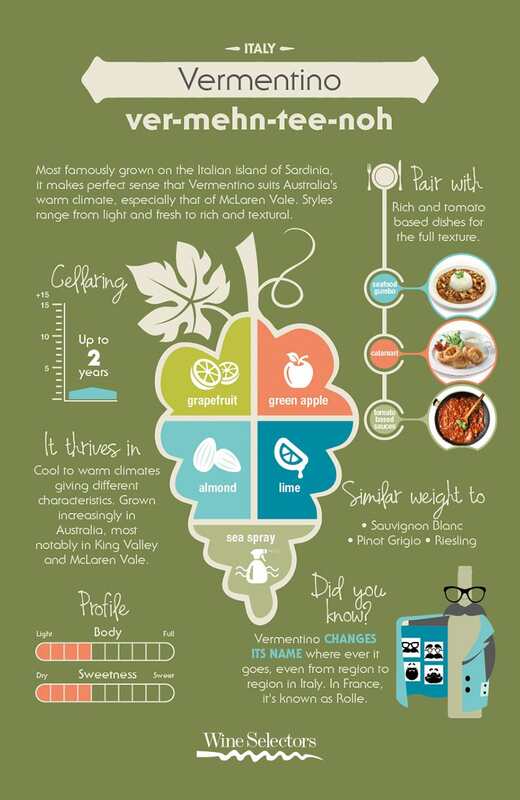 Vermentino is a very food friendly wine, matching perfectly with the diverse range of fresh seafood, salads and light Asian-inspired dishes, popular during the long Australian summer. Luke Nguyen's chilli salted squid recipe is a fantastic match as the sweetness and spice from the squid balance the refreshing acidity of Australian Vermentino. Suzanne Little from the Little Wine Company notes that their style of Vermentino also pairs very well with prawn dumpling dishes , owing in part to the notes of sea spray common to this variety. Asian Inspirations have a great guide on how to make your own dumplings you might like to match with Vermentino. Owing to its Mediterranean roots, a myriad of classic Italian, Maltese and Sicilian dishes excel. Guy Grossi’s Carciofi alla Romana recipe is a perfect accompaniment to the similarly Italian style of a McLaren Vale Vermentino. It’s safe to say that Australian Vermentino won’t stay a hidden secret for too long, as the consistently superb standard of these wines is remarkable, as is the increasing demand from consumers for alternate varieties. Stay ahead of the curve with these expertly curated wines selected by our Tasting Panel . Bruce Tyrrell inspecting the vineyards Winemakers love Shiraz for its reliability, impressive yields and resistance to disease; drinkers love it because it is delicious when young, even more beguiling with some age and is great with a range of foods. But its crowning glory is its versatility, its ability to express itself beautifully across many wine regions. And that's key to the success of Australian Shiraz globally. "The world now accepts that we do it better than anyone else," says Bruce. "The future for Australian Shiraz is endless, as long as winemakers stay true to the variety and the region where it is grown."